The NFL and former San Francisco 49ers quarterback Colin Kaepernick and Carolina Panthers safety Eric Reid jointly announced Friday, Feb. 15, they have settled a complaint of collusion by the players, who claimed football team owners blackballed them because they had protested by kneeling during the pre-game playing of the National Anthem, according to new reports. 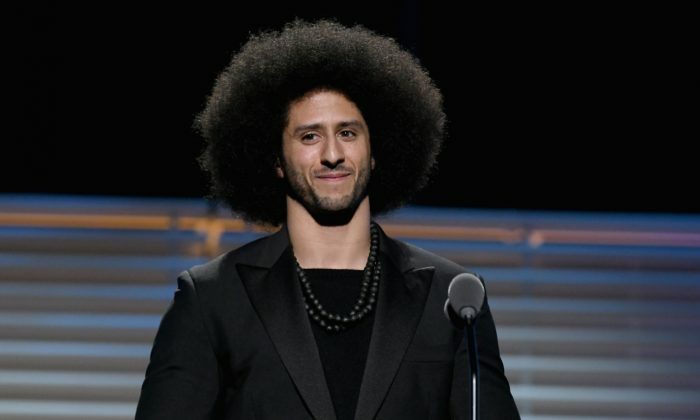 Kaepernick filed a grievance in October 2017 under the collective bargaining agreement alleging collusion against signing him to an NFL contract, reported ESPN. A full hearing before an arbitrator had been expected to rule over the next few weeks on Kaepernick’s grievance against the NFL, where he alleged the owners conspired to keep him off the field because of his protests to draw attention to perceived racial inequality and social injustice. While Kaepernick has gained a following, his actions have also been criticized for being misdirected, and for politicizing the NFL, which has since been mired in controversy and dwindling ratings. 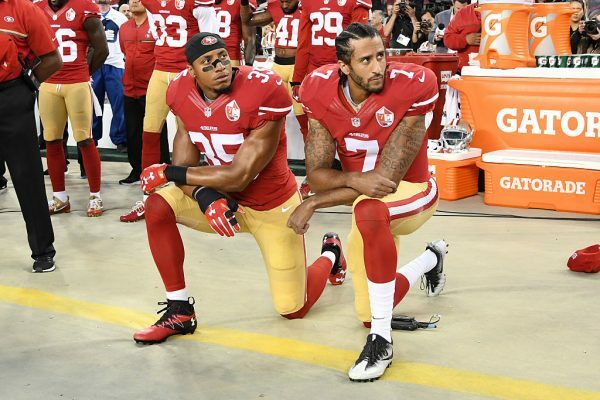 Reid, 27, joined Kaepernick in kneeling, beginning during the exhibition season in 2016. He continued his protests in 2017 with the 49ers and last season with the Carolina Panthers, reported NBC Sports. After filing the complaint, Kaepernick and Reid faced a difficult challenge to meet the burden of proof as defined in the league’s CBA, as the statute alone makes clear that unemployment alone does not mean collusion occurred. Click the link in my bio to read why Colin and I decided to kneel as a sign of respect! “The failure by a club or clubs to negotiate, to submit offer sheets, or to sign contracts with restricted free agents or transition players, or to negotiate, make offers, or sign contracts for the playing services of such players or unrestricted free agents, shall not, by itself or in combination only with evidence about the playing skills of the player(s) not receiving any such offer or contract, satisfy the burden of proof set forth,” according to the CBA. To prove collusion, Kaepernick and Ried would have had to show that a “club, its employees or agents” had “entered into an agreement” to restrict or limit whether to offer them a contract, according to the CBA. While Kaepernick did not go through the NFL Players Association (NFLPA)—the labor union that represents league players—in filing the grievance, choosing instead to go with a private lawyer, the NFLPA released its own statement following the announcement of the settlement. “Today, we were informed by the NFL of the settlement of the Colin Kaepernick and Erick Reid collusion cases. We are not privy to the details of the settlement, but support the decision by the players and their counsel,” the NFLPA said.